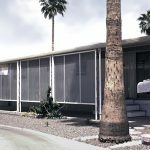 Starting from the top down there are many changes you can make to your mobile home to save energy and cut the cost of fuel and electricity bills. Some changes are easy and inexpensive, some may take a little work, but the costs savings and benefit of increased mobile home energy efficiency are worth it! 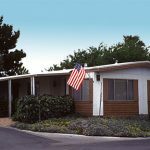 Here are our top 10 tips for making your manufactured or mobile home more energy efficient. Did you know that a cool roof coating can lower mobile home temperature, reflect up to 85% of the sunlight, reduce smog and save your electric bill by cutting down unecessary AC Costs? Installing a White Roof or Cool Roof Coating on your mobile home reflects the heat from the sun back out helping to cool your home. It takes a little more work, but you can save up to 15% of heating and insulation costs simply by insulating your mobile home or manufactured home roof cavity. Installing a sloped roof allows extra room for insulation in the ceiling of your home. 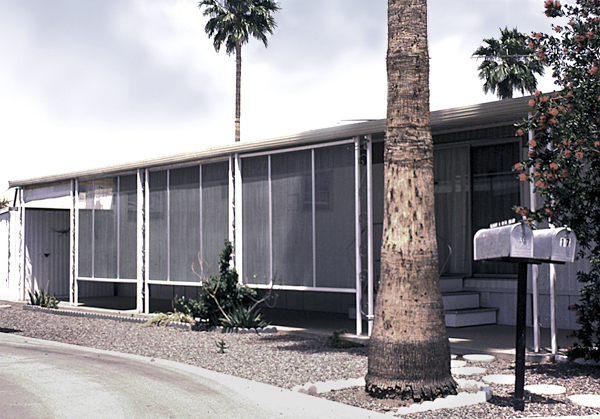 The interior of your mobile home or manufactured housing can be a cause of much wasted energy. From doors, windows , walls and lighting, to the kitchen, bathroom, furnace and appliances – there are a lot of ways to lower energy bills and save money inside your mobile home. 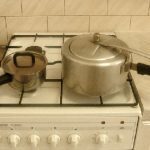 Did you know that you can speed up cooking and save energy by using lids on pots and pans? Pressure cookers can reduce cooking time even further. Other ways to reduce energy in the kitchen include; defrosting in the fridge in advance instead of using a microwave, not using your full oven for small meals, choosing Energy Star® appliances and not overfilling your refrigerator. All homes can benefit from energy efficient lighting. Most homes use 10%-12% of the entire home energy on lighting, making savings that could lower mobile home energy bills. 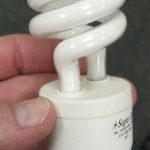 Simple ways to improve the energy output of your lighting include: changing lighbulbs to compact fluorescent lightbulbs (CFL’s) – CFL’s use up to a quarter of the energy of a regular lightbulb. Switch lighting off when it is not needed; clean lighting fixtures to maximize lighting output. See our article Energy Efficient Lighting for more tips. 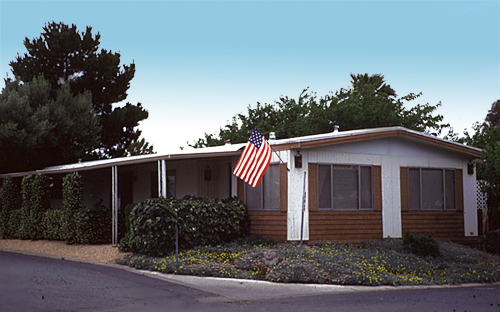 Unlike site built homes, mobile home furnaces draw air directly into the furnace through removable grilles. Cleaning or replacing the furnace filter inside can drastically reduce energy costs and make the furnace more efficient. 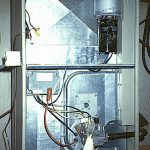 It is also a good idea to inspect the squirrel cage blower at the top of your mobile home furnace for any dust, or grease. Simple plastic window coverings can help reduce energy costs and cut out drafts. The disposable plastic covering can be removed for the summer. Storm windows – extra glass panes fitted to the interior of mobile home windows can also be installed for permanent energy savings. 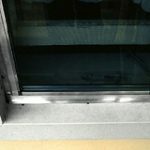 Internal storm windows are also more protected from the elements. Make sure the frame is tightly sealed. 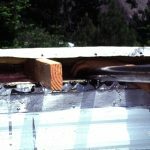 Additional insulation can be achieved with foam tape. Air conditioners not only cool the air, they take out moisture to make the air more comfortable. You can lower AC running costs by lowering the moisture in your mobile home so that your AC unit can run more efficiently. Moisture comes from two main sources: the ground, and air leakage from Air Conditioning units. Mobile homes often already have insulation, but they tend to be partially filled which means there is always room for more! 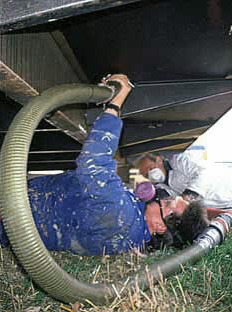 It is a good idea to hire an insulation professional and ask for blown fiberglass to reduce the potential corrosion of any metal parts from cellulose insulation. 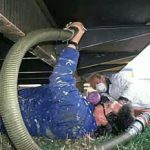 The crawl space underneath your manufactured home is often neglected, but there are energy savings to be had beneath the floor. 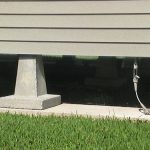 Adding skirting around the mobile home can prevent excess heat from escaping but make sure you can still access the crawl space. Check the area underneath the furnace for loose ducts or joints and use metal duct tape if possible as traditional gray fabric tape can come loose. The life span of your mobile home can be shortened by problems from water damage and cause greater problems with the home’s efficiency. 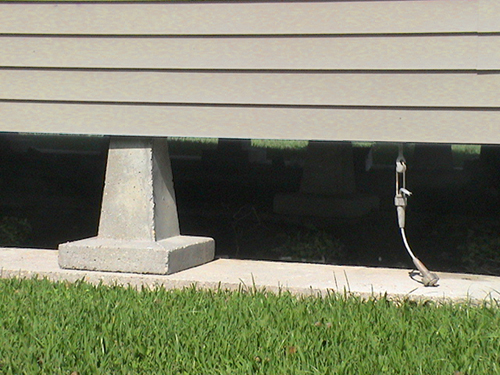 Water damage can be from rainwater through the roof as well as through the foundation. It is important to plan the site for the home and it’s position in regard to water drainage, keeping it away from the skirting and crawl space. I need all the help and ideas I can get!! 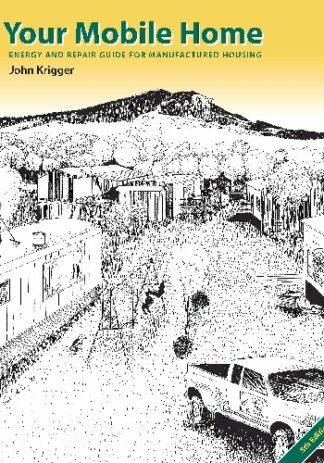 My wife and I are looking at renting a mobile home as a winter home that we can use to get away from the cold of where we live. 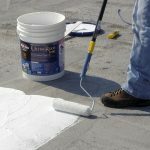 It was interesting to me how you mentioned that having a cool roof coating applied to the roof of the home could save us money on our electricity bill since it reflects sunlight so well. I wouldn’t looking into having this done so as to save me a little money on operating costs when using the home. Sign me up for new letter single old working lady with cat and dog. Diffently going to be using these ideas. Thanks looking forward to the newsletter. I like that you said that we can change the energy output of the lighting by changing the light bulbs that we use. Maybe I should ask a professional for assistance when learning about saving money. I might want to remember this for the next time that I am in a mobile home. Sign me up for the newsletter and I will be looking forward to trying all your suggestions. As an older man and alone I need help with saving every penny. We signed you up Steve. Thanks for your interest in our info and products! O hear that! I need some skirting ideas! !